Technology has come a long way over the past few decades with the advent of increasingly complex bits of software, hardware, and networking. Despite this progress, technology still hasn’t managed to solve one of the most fundamental forces in life: entropy. 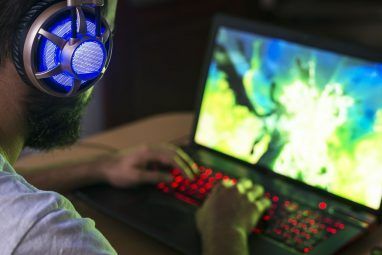 No matter how hard you try to fight it, time breaks down all things and the result is clutter – computers are no exception. The best we can do in light of entropy is to repair the chaos ourselves and that’s where WinOptimizer 10 steps in. Ashampoo WinOptimizer 10 is available for $39.99 USD on Windows XP, Vista, 7, and 8 and it requires full administrative privileges for proper installation. 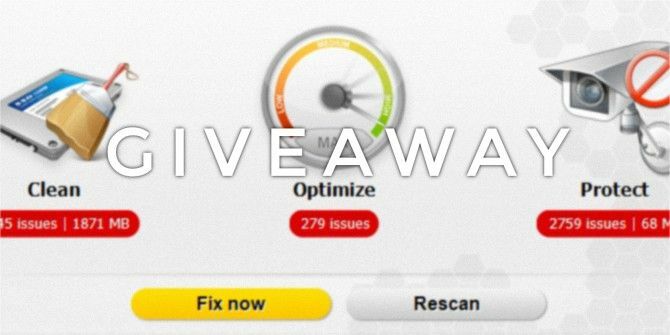 But for you, we’ve got a great offer that you just won’t be able to pass up: we’re giving away 10 copies of WinOptimizer 10 worth a total of $400 for FREE! Keep reading down to the end to see how you can partake in this amazing deal. If I had to describe WinOptimizer 10 with one phrase, it would be “maintenance master”. As its name suggests, WinOptimizer 10 focuses on optimizing every aspect of your computer from hard drive space to memory usage, from disk fragmentation to networking bottlenecks. It’s the most comprehensive optimization tool for Windows that I’ve used and it works superbly well. WinOptimizer 10 uses a dashboard interface – a trend that seems to be all the rage these days when it comes to computer maintenance software. But there’s no reason to complain here because WinOptimizer 10’s dashboard is brilliantly designed: clean, easy to navigate, and pleasant on the eyes. Everything about it just makes sense. When you open up WinOptimizer 10, it will start with a quick system scan for issues. These issues fall into three categories: Clean (free up space), Optimize (improve performance), and Protect (fix vulnerabilities). Once the scan is complete, you can solve all of the problems with a single click on the “Fix Now” button that pops up. System Maintenance: Optimizing and cleaning various parts of your system. System Analysis: Measuring performance and inspecting potential problems. Performance Tweaks: Managing and tuning system performance. File Tools: Encrypting, wiping, and managing files on your system. Customize Windows: Tweaking your Windows for maximum efficiency. General: Other features, like backups, which are discussed further down. The WinOptimizer 10 modules can be viewed in two ways: category view or function view. In the former, you select a particular tool to use. In the latter, all of the different actions are listed individually (e.g., “clean up registry”). Sometimes you want to do something but don’t know which tool to use for it – the function view makes it easier for you. Backup Management: Before making big changes, WinOptimizer 10 can save backups which you can restore later in case something goes wrong. Task Scheduler: You can schedule certain tasks for certain times or certain periods and fully automate the maintenance of your computer. I currently have mine set to auto-optimize the whole system every Friday at 4pm. Favorites: WinOptimizer 10 will track your most frequently used tools and keep them listed in the Favorites tab, making a quick process even quicker. Statistics: Under the Statistics tab, you can see various statistics such as how many files have been cleaned, how many database entries scanned, etc. It’s just a cool little display to show you that WinOptimizer 10 is really accomplishing a lot. Again, we’re giving away 10 free copies to all of our loyal and beloved MakeUseOf fans and readers. Please be reminded that Ashampoo WinOptimizer 10 only runs on Windows XP, Vista, 7, and 8 and requires administrator privileges for proper installation. How can I win a copy of Ashampoo WinOptimizer 10? We have a new giveaway procedure in place, which will hopefully make participating much easier. You may enter using your Facebook credentials (which will require you to sign into Facebook) or by submitting your name and email address. You’ll receive one entry simply by doing so. After that, you’ll also be offered various methods to earn additional entries. They range from sharing a link to this giveaway on social networks; to commenting or visiting a specific page. The more you participate, the higher your chances of winning! Congratulations! If you were selected as a winner, you would have received your license via email from jackson@makeuseof.com. If you require any assistance, please get in touch with Jackson Chung before September 4. Enquires beyond this date will not be entertained. This giveaway begins now and ends Friday, August 9th. The winners will be selected at random and informed via email. I need Ashampoo WinOptimizer 10 because it is better software to tune up my PC. I need Ashampoo WinOptimizer 10 because... I have a really messy computer habits that need cleaning. I wanted it because I just got my new laptop and I wanna make sure it's fast all time! Because Windows is a mess! Complete this sentence: I need Ashampoo WinOptimizer 10 because I want my PC clean and safe. I need Ashampoo WinOptimizer 10 to keep my pc clean. I want it so my wife will stop complaining about her computer being so slow. To keep Windows under control. It speeds up my computer. I need Ashampoo WinOptimizer 10 because... I LOVE keeping my computer well maintained. I hope this will work like charm. I need Ashampoo WinOptimizer 10 because my PC is very very sssslllloooowww. I can not work with this properly. I need Ashampoo WinOptimizer 10 because... I know someone that needs to keep their pc clean, and this MAY help. I need Ashampoo WinOptimizer 10 because... my system needs cleaned and performance restored! I need Ashampoo WinOptimizer 10 because I need to optimize my computer for maximum performance. I need Ashampoo WinOptimizer 10 because I need to clean up my pc and optimized it to get a better performance out of it while I am saving for a new one in the future. My computer keeps slowing down and I really would love to have this to see if it makes it run faster. Thank you for the chance !! I need it to clean and organize my computer. I need Ashampoo WinOptimizer 10 because…I have a brand new computer which I want to keep super fast and squeaky clean. I hate doing housekeeping manually. I need Ashampoo WinOptimizer 10 because my computer is a mess - needs a clean up badly. I need Ashampoo WinOptimizer 10 because my computer is super slow, and there isn't a free program of this quality. I need Ashampoo WinOptimizer because my Windows 8 computer is unbelievably glitchy. I'm always trying to clean and optimize my PC at the best. I need Ashampoo WinOptimizer 10 because...i need to optimize my laptops. Would be nice to win!! because i cant afford one!!!!! my PC needs a urgente optomization! I want to keep my system running smoothly. The desktop that my husband and I share is 5 years old and an absolute unorganized mess. Runs so slow! I need it to keep the kids PC in order so I can concentrate on mine. I need Ashampoo WinOptimizer 10 because I want to keep my computer safe and working awesome for school. I need Ashampoo WinOptimizer 10 because my computer is a mess. I need to win as I download other programs that only do a part of what this one program would do. Saving me space, time and my mind! I need Ashampoo WinOptimizer 10 because as mentioned in the above article, it is the “maintenance master” and can perform so many important functions. I, therefore, would love to have it on my computer in order to fix my computer problems and improve its overall performance. I need Ashampoo WinOptimizer 10 because it will help me declutter programs and files in my computer. I need Ashampoo WinOptimizer 10 because my laptop runs very slow, freezes up, crashes and other things that it shouldn't be doing. Plus I need this computer to last me for a while til I can save up for another one. I need Ashampoo WinOptimizer 10 because I want a complete system maintenance suite for my pc. I'll need to keep my computers in tip-top shape. I need it so hopefully my computer won't take 15 minutes to boot up. I need Ashampoo WinOptimizer 10 because... there is no way to know without a decent utility what exactly is going on behind the scenes of my computer that could potentially damage or slow it down. I need Ashampoo WinOptimizer 10 because I want to improve the performance of my PC. Thanks for the chance to win / score some software. How does WinOptimizer 10 relate to WinOptimizer 2012? That's the version I have now. I need Ashampoo WinOptimizer 10 because make my PC performance better! my computer is a complete cluttered mess. I need Ashampoo WinOptimizer 10 because...as a small business/home business owner, the overall health of my PC is paramount. It's unencumbered daily use means better performance for my company which means better reviews of my business...this would be a "must have" program for me. I can automate maintenance on my computer. My laptop keeps crashing!! It needs Ashampoo WinOptimizer 10!!!! it will automate all those little tasks that I currently have to do manually if I want to keep my computer in tip top shape. Because my PC is running slow. This is the very good optimizer for the PC. I need Ashampoo WinOptimizer 10 because i'll use to clean and optimize my pc. My computer really needs to optimized with this awesome program!!!! I need Ashampoo WinOptimizer 10 because my laptop is too slow. I need Ashampoo WinOptimizer 10 because I want my computer to be purdy again. I need WinOptimizer 10 to help keep the shared family laptop under control. I need Ashampoo WinOptimizer 10 because....I don't really. However, I'm an IT Technician and love to keep up with any tool that could make my life a little easier. I need this to make over my computer's messy system. I need something to de-clutter my PC. It's a mess. I need Ashampoo WinOptimizer 10 because I'll use it to clean my PC. I want to win because I want to optimize my computer program usage.